You really should get it out of alpha so we can use the twitch client to get it..
You should be able to set the Twitch client to allow alpha builds. Does this override the original damage values or is it applied on top of the original values like enchants? It applies vanilla attributes, which are applied on top of existing values. Sweet, was a bit worried it would override the existing values, since the existing values don't show. Any Chance for Tinkers Construct integration? That's a really interesting idea, it's definitely a possibility in the future. Will be great that tools also had prefixes like block breaking speed, harvest level (up to +1), luck, etc. This is something I wanted to do originally, but vanilla doesn't much by way of tool attributes. My goal is to add my own attributes into the game such as haste. I am definitely aiming towards this. You shouldn't need to add your own attributes for these things. You can use event handlers for things like mining speed, and adjust the speed based on if the tool has a prefix/which prefix the tool has. Yeah, this is something I am aiming towards, and would like to have soon. I like all of these attributes. Yeah, good point. This is probably what I'll do. Never heard of Quality Tools mod until now, I agree it's very similar. 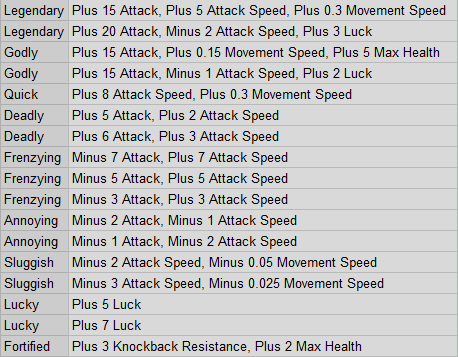 I also agree with some of the attributes being a bit OP, at that's something that will be tweaked as the mod updates. Also, will this be able for 1.10.2 in the future? 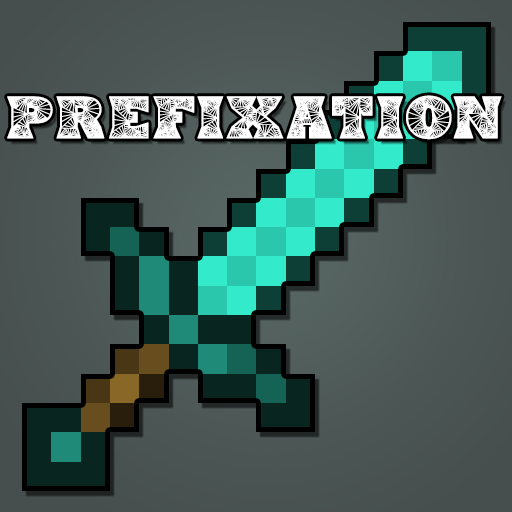 Would really like to test it out in my modpack.